There are so many underlying implications with this question, and I don’t know which is worse. That people wouldn’t want to see content from an older woman? That visibly aging lessens my beauty? That I can’t put myself out there with wrinkles and grey hair like I do now with smooth skin and a thick mane? It’s no secret that the backbone of the beauty industry in years’ past has been making the customer aware of what they should be self-conscious about… even if she didn’t feel that way before. Luckily, I feel that we’re definitely seeing a shift in beauty marketing with more inclusive themes. Anti-aging, however, still has a dominating presence in the skin care realm… though that may be changing soon, too! According to WWD, millennials are looking at aging differently because of overall demand for instant results, skepticism of advertising and willingness to embrace natural beauty. “Aging happens. There’s literally no point in being against it,” says Fashion Magazine writer Kelly Dougher, pointing out the consequences of using language like anti-aging at all. 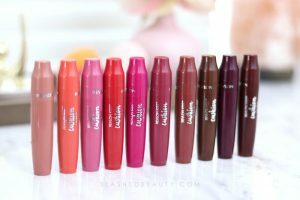 Recently, COVERGIRL has done a complete rebrand centering about embracing your unique beauty. They even named Maye Musk, age 69, the newest face of the brand. Entrepreneur, dietitian and mother, Musk is always encouraging others to feel confident and happy exactly how they are through her social media. Personally, seeing Musk in the latest Covergirl campaigns totally inspires me to keep slaying the game well into my senior years. Because why not? And what about the term “dressing for your age”? You guys, I still shop in the juniors section because I cannot find stuff that doesn’t look matronly aimed at adult women. Luckily, I recently discovered a fashion blogger who is turning that phrase on its head. 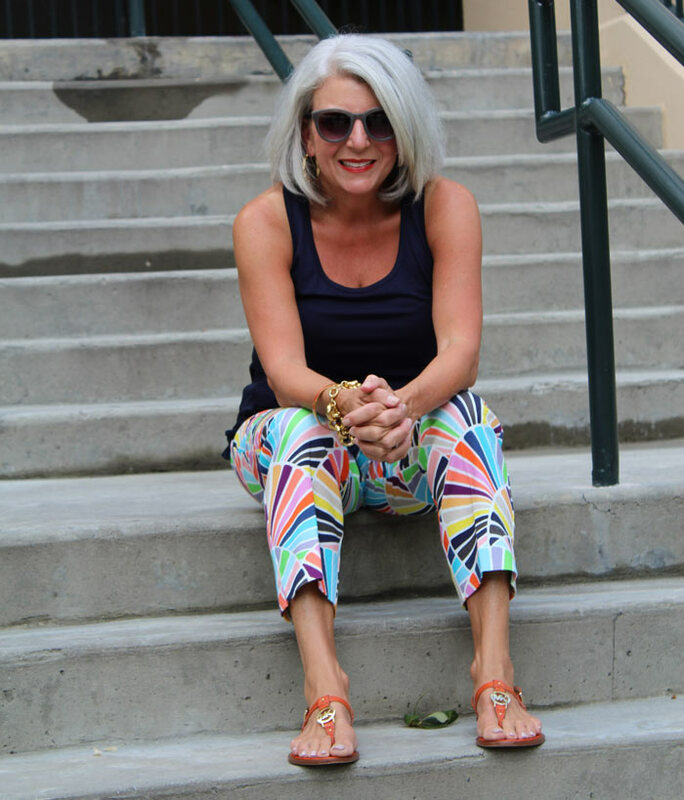 Jan Correll is the blogger behind Silver is the New Blonde— a blog dedicated to her personal style as she ages, staying on trend all the while. 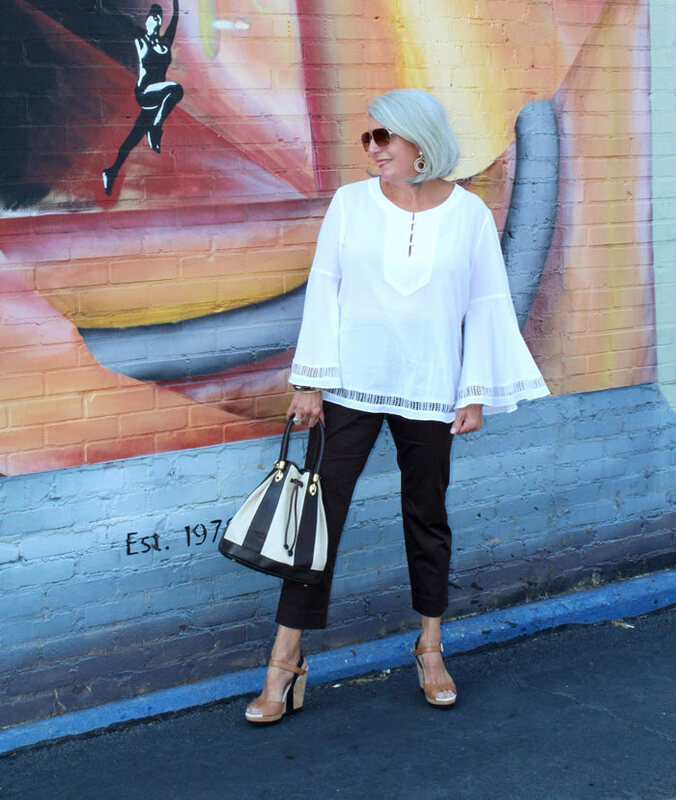 Jan shows her readers that mature women aren’t limited to frumpy clothing— she shares chic OOTDs that exude confidence, demand respect and have the perfect dose of flare. I had the honor of chatting with Jan recently as part of the Bridging The Gap blogging campaign. 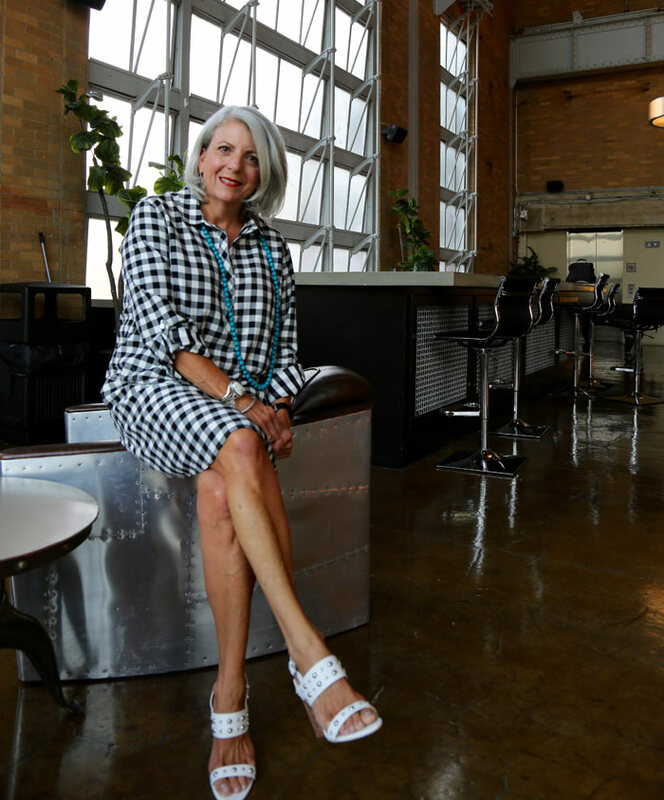 Keep reading to hear her views on aging, beauty, and how she finds her killer outfits. Many women hold on to coloring their hair for years after they naturally go silver, holding on to the appearance of youth. How long did it take you to decide to make the transition, and why? JAN: My hair grayed prematurely in my 30’s. I colored until I was close to 50 but at that point, had had enough. At that time, I was comfortable with myself, my age and my life in general, but uncomfortable with the time, money and line that appeared 3 weeks into a new color. As a business professional, it was harder and harder to mask with my dark brunette hair color. Therefore, once I made up my mind, the transition took about 6 months as my hair grows quickly. To me beauty is happiness. I feel that if you are happy with who you are you will always radiate beauty. How do you feel 50+ women are currently represented in media? What could the media (specifically advertising) do better? I feel that it is improving but that the media has a long way to go! They need to take an approach to appeal to all. The modern women still likes style and wants to stay relevant. I also feel that women will buy and associate better with women in their own age group. Why do you think the beauty and fashion industry predominately targets millennials in advertising, ignoring the purchasing power of 50+? They target the younger generation for the long-term brand loyalty and the fact that this age demographic is the largest. Unfortunately, the millennials don’t have the purchase power of the 50+. We are buying for ourselves, our parents, our kids and our grandkids. These statistics should be exploited further. One more point, is that many millennials also purchase the same brands as their parents have before them. How do you find trendy clothing that’s age appropriate? Trendy clothing is everywhere and in my opinion, easy to find. I tend to buy more classic styles and if I buy trendy, I usually add classic touches! What does age-appropriate mean to you? It means not showing too much of any one thing on a body. This could relate to a teen-ager, a millenial or at any age. Do you like that phrase? No. I would remove the word age. Labeling of anything hurts us all; age, race, religion etc. Where do you look for inspiration you can relate to? I look everywhere, both traditional; magazines, favorite brands, etc and non-traditional: my influencer network. I think the key is to be inspired but make it your own. What are your thoughts on the new Covergirl, 69 year old Maye Musk? I think it is absolutely fantastic and what a beautiful silver she is. This will do a lot for us that are younger and you too, as we age. Opening new doors and breaking down barriers. Having seen how the standard of beauty changes throughout the years moreso than I have, what do you think of society’s perception of beauty and how it changes? How do we adapt, if at all? I feel that perceptions of all kinds including beauty can become contagious, and that has been true through the years. Interesting enough, in the past the view was that silver/gray hair was for old people. Now the trend is that it is cool! Which proves that opinions evolve and catch on over time. We adapt by staying relevant! 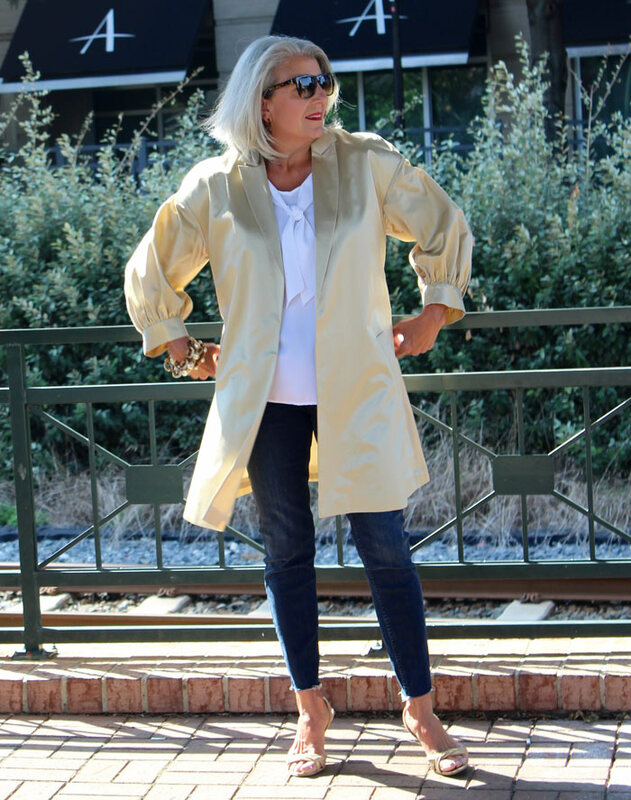 Visit Jan on her blog, Silver is the New Blonde. Today is an exciting day with the launch of an unprecedented campaign, Bridging the Gap, where 100 millennial and 100 midlife influencers are coming together to break the age-defined boundaries society has set on us. We are putting an end to the labels and divisions that no longer serve us. It’s your attitude and way of looking at life that truly matters. Please join us in this revolutionary campaign as it’s the hearts and souls of the women that truly matter in the end. What do you think about the representation of aging in the beauty industry? Share your thoughts in the comments below! Miranda, I love that you were able to connect with such a fierce woman like Jan. Hearing about her journey to embracing her hair color is so empowering and I’m so grateful that you both took the time to join the campaign! Love sassy older woman with a great sense of style. 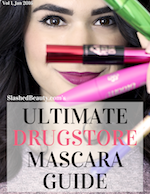 This anti aging creams and categorizing each and everything is a joke we are all going to age and I sure don’t need to feel guilt for owning a couple of wrinkles. It is time to move on and embrace the process. Be and feel beautiful and strong everyday. Smile often have fun! Is one live only not 9 like a cat. I love that Cover Girl is embracing mid-life women. Jan is absolutely right amount brands not recognizing the buying power of baby boomers like me. Everyone ages, I just try to keep looking my best. Great interview! I agree with her assessment on labels. Great interview! I wrote about Maye Musk too a couple of weeks ago. I was thrilled that CoverGirl chose her as one of their new faces. Glad to get to meet Jan. I will definitely check out her blog! What an impressive woman. I love that CoverGirl has chosen her to represent them. We all age and too many young bloggers forget that they’ll get there eventually too. I’d love to stop coloring my hair but I’d hate what it looked like while it was growing.